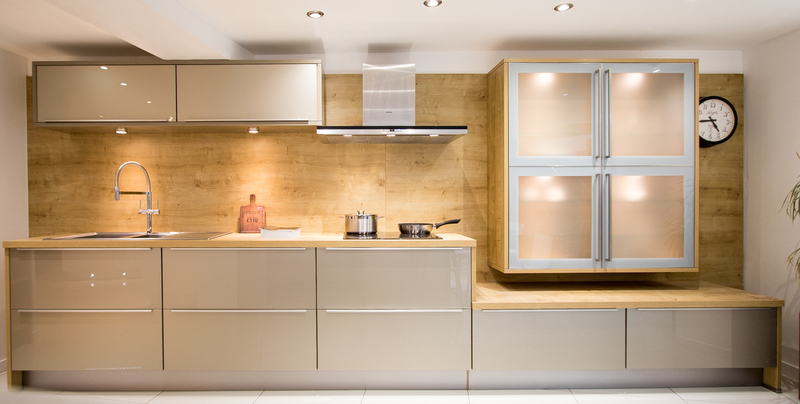 Ex-Display Kitchen for Sale: Amazing High Gloss Lux Sand Cabinets from Nobilia. 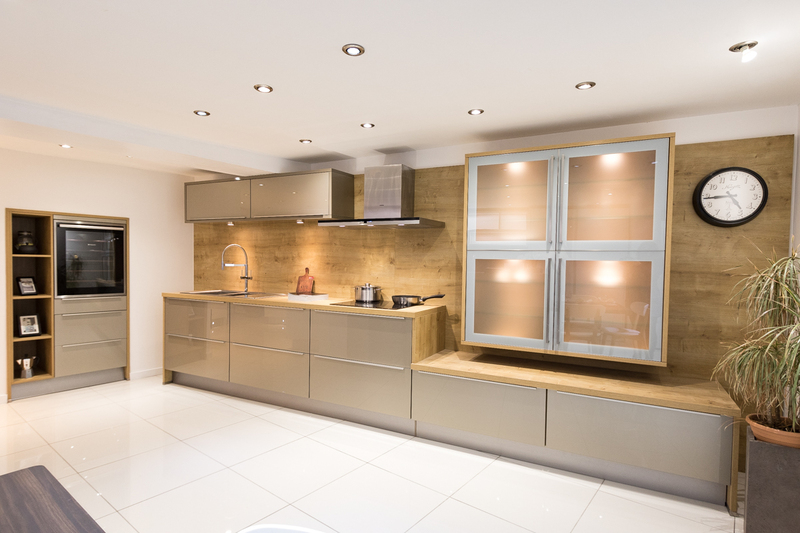 Fantastic Ex-Display Kitchen for Sale at the moment at Richmond Kitchens Showroom in Richmond, Surrey. Induction hob, extractor hood, wine cooler, sink, tap and stunning storage. 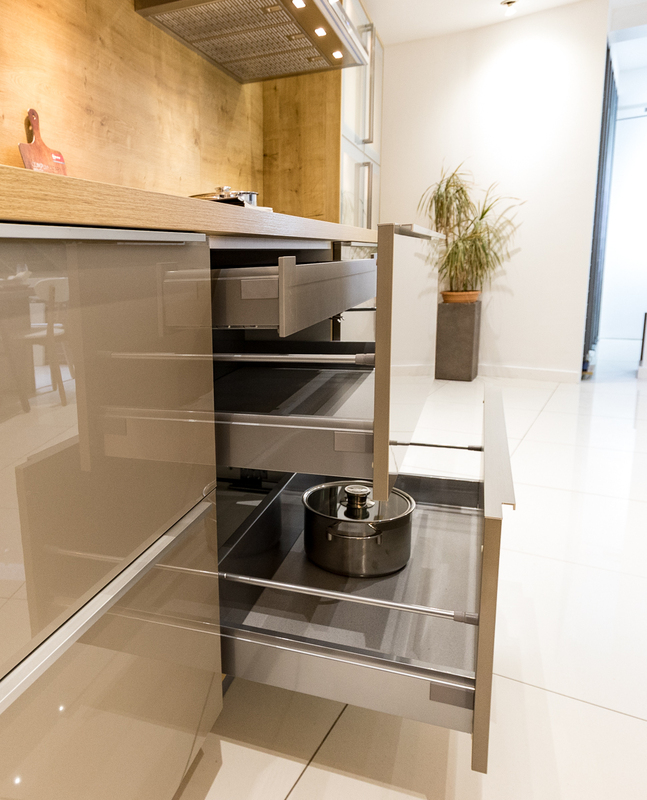 Big spacious drawers, as well a stylish wall glass unit.